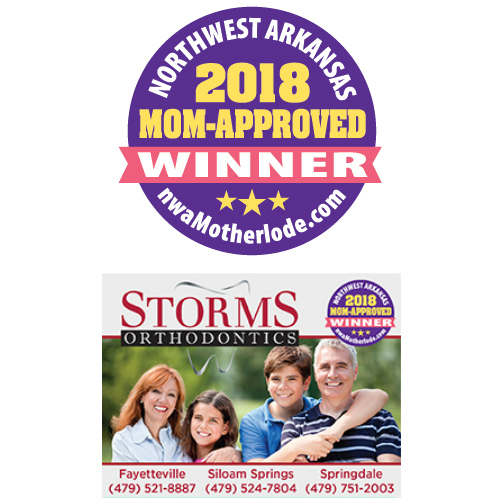 Editors’ note: Congratulations to Storms Orthodontics, one of our website sponsors who recently earned a Mom-Approved Award in the “Best Orthodontist” category. 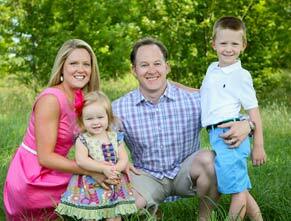 Get info on all that Storms Orthodontics has to offer in today’s featured profile. You can also visit the Facebook page by clicking here. What you might not know: Each member of the Storms Orthodontics team is a Registered Dental Assistant (RDA) and is also certified in CPR. All team members have also completed extensive infection control training. 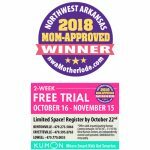 This office has an average of 14 years of experience in patient care! 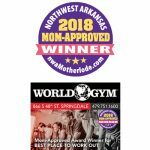 Our practice’s top priority is to provide you the highest quality orthodontic care in a fun and comfortable Arkansas Razorback-friendly environment. We utilize the latest technological advances in the industry, such as tooth-colored ceramic braces and Invisalign, along with the latest in computer technology (intraoral scanning, digital imaging and advanced computer graphics) to ensure that you receive the most effective care possible. Our treatment philosophy is a very personal approach to each patient’s treatment. We are not interested in performing quantity – we are committed to QUALITY! 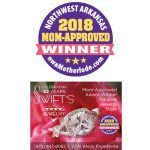 We recognize that every patient has different needs, and we pride ourselves in the courteous service we deliver to each person who walks through our door. 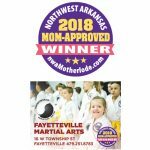 You will find our practice to be a unique and pleasant experience in every way as we understand the importance of choosing an office that truly values the quality of service it provides. We encourage open communication with our patients and provide constant feedback on your treatment progress. Is Storms Orthodontics just for teenagers? Whether an adult, adolescent or child, Dr. Storms and his experienced staff are committed to helping you achieve a healthy, beautiful smile. Dr. Storms and his wife Amy are the proud parents of Will and Sarah. 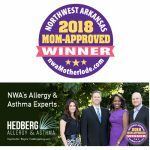 In addition to spending time with family and friends, Dr. Storms enjoys golf, basketball and is an avid supporter of the Arkansas Razorbacks. Go Hogs! 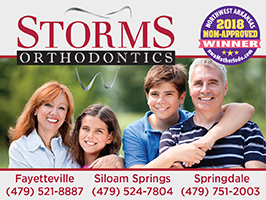 Congrats to the Storms Orthodontics staff!